Kratom must not be something new to you if you have ended up here. But to people who are yet to start their bond with Kratom, Kratom is a herb found in the forests of SouthEast Asia. The tree goes by the name called Mitrgyna Speciosa with its leaves containing psychoactive compounds like Mitragynine and 7-Hydroxymitragynine which imparts therapeutic and recreational effects on the users. It also has anti-inflammatory effects while posing as an effective natural alternative for pain relief, stimulation, and relaxation. The very question that haunts Kratom users is the dubious nature of Kratom’s legal status. Some people aren’t aware of the status in many parts of the USA. The people can’t be blamed since Kratom is fighting a huge war with uncertainty due to the claims supported by FDA and DEA. Kratom extends its legal status to most parts of the world, including the United States of America. There have been several misled reports on the effects of Kratom forcing DEA to have a stern eye towards the legality of this herb. In some locations like Australia and New Zealand, stringent laws have been imposed on the import without making the use of Kratom illegal on the whole. The very trend is visible in the USA too but with a different legal system in place at the federal and state level, the clarity in the legal status is further complicated. In addition to this, the USA has more enforcement agencies than other countries, due to which the status keeps changing without a clear picture. So you are prone to suffer from the legal ramifications if you don’t catch up with the legal status trend. It might victimize you before you are even aware. Hence it is important to know the legal status of Kratom in the USA as in 2018. First, let’s have a look at the places where Kratom has been banned for use. The irony is that before you could even celebrate that Kratom is legal in your place, it could be ruled out as illegal. This is due to the complicated nature of US Legal Status. Both DEA and FDA have listed Kratom on their hit list without any substantial evidence on the same. 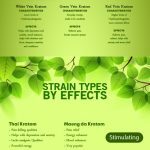 Many unproven claims as to how dangerous Kratom is, has spread all over the place forcing FDA and DEA to come up hard on the natural substance. The two-tier legal system in America adds up for the confusion since Kratom is legal now at the federal level and any change here has bright chances of overpowering the state law in some instances. The effects have been experienced by people who have both mental and physical benefits. This prompted them to go out on a statewide protest and file petitions when Kratom was to be scheduled under the emergency list by the DEA. This core problem arises due to the lack of understanding of Kratom and the absence of substantial reports to prove that Kratom is dangerous. Unfortunately, authorities view Kratom in the league of other street drugs due to its euphoric effects on high dosages. Although they have been misled, it is miserable to see that this confused battle is extended without a proper official study to arrive at a fitting conclusion. However, in 2017, the FDA issued a public notice that Kratom has deadly risks citing deaths due to Kratom. But the circumstances under which, they may have died hasn’t been researched since people consume Kratom for opiate withdrawal. The real reason could even be due to an illegal drug overdose. But the recent FDA attack on the legal status of Kratom shows that this war is never ending with many agencies trying to enforce their views taking advantage of the law. The American Kratom Association recently released a notice which stated that the National Institute of Drug Abuse has changed its stance over Kratom. The Chairman of AKA, Dave Herman said that it is a significant development since the National Institue of Drug Abuse has acknowledged that Kratom by itself doesn’t kill people. He also claims that there is no evidence that Kratom causes respiratory suppression by itself and it may cause those adverse effects when mixed with other adulterants. Herman also believes that Kratom should be regarded both as a food and a supplement. Many experts believe making Kratom illegal would pave way for the black market to sell adulterated Kratom which may force people back to opioids causing great havoc in the country. With three pending legislation on the New York table, the state faces a very doubtful year ahead. One of which is an age ban which seems to eliminate the use of Kratom by users under the age of 18. As of now, you can be safe if Kratom is legal in your place and you could purchase it legally unless you are bound to consume the product for any other crazy purposes. If you are someone who is yearning for the physical and mental benefits, then you will see no problem ahead. But keep your eyes open to know the ongoing trend in the laws since any big amendments are around the corner. But you will not be left out since a ban on Kratom will be a piece of big news. However, it is wise to stay on your guard.